What according to you is the definition of love? Very simple. That which cannot be defined is love. If you have never experienced love, there is no chance that you will experience it in the future. So there is no definition. You are made up of love my dear. This whole universe is made up of this one thing called love. And all other things are either in its pure form or distorted form. Anger is love distorted. If you love perfection too much, then you get angry at imperfection. So that is love for perfection. Love for objects is called greed. Love for somebody can become jealousy and possessiveness. All the negativities are off springs of love. Love minus knowledge is all these problems. Love with wisdom becomes bliss. Mahatma Gandhi dreamt of Ramrajya, and said that when women can walk the streets alone at midnight, that is when India would have gotten real freedom? Where ever there is knowledge there is Ramrajya. Where ever there is ignorance then there is Rakshasrajya! Understand! 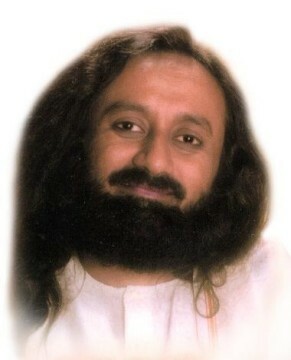 Gurudev, sometimes what we think happens and sometimes it doesn’t. Why is that? Yes, so you have to improve your thoughts. If it happens, then your thoughts were right, and if doesn’t then your thoughts were not correct. It is not that your thoughts never materialize. Only sometimes, they don’t. Depending on the sattva inside of you, things will happen. So if you increase the sattva level within you, then more and more of what you desire will happen. Some people barely get a thought and it materializes. 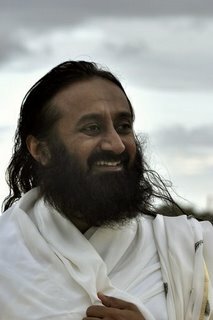 Gurudev, can you please explain the significance of the symbol of The Art of Living logo of the sun between the two swans? Use your creativity and think up the significance yourself. I will let you interpret it the way you like. Symbol is just a symbol. Some artist drew and showed it to me and I just accepted it. Even the name, 'The Art of Living' was not given by me. It just happened. My talk is always about rising beyond the name and the form. There is nothing in a name, or in symbols. 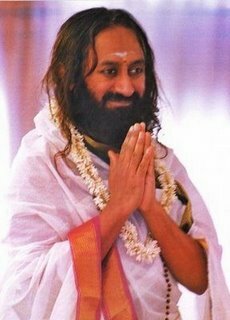 Why does The Art of Living not teach hygiene and other basic considerations through its courses, such as, not to spit, not to throw garbage outside the house and things that would have a more impactful effect in our country? Yes, we are doing that. We are conducting programmes like Bal Chetna,(a dynamic program for the less privileged children of society), and YLTP (Youth Leadership Training Program). You should take up any of these courses and go into the details of it. We also conduct the 5H program (Homes for the homeless, Healthcare, Hygiene, Human Values and Harmony in diversity). You know, there is no point telling people who already know about it. There is no point in my telling you that you have to brush your teeth. You already know that. But I need to tell the people who live in remote villages and in tribal regions where they may not be paying much attention to these things. So we have courses designed for different areas, and The Art of Living has taken up the cleanliness program in a very big way. In fact, we started it in 2008. The Prime minister only gave a voice to it recently but The Art of Living has been doing it even before that.